How Do Publicly Issued Bonds Work? 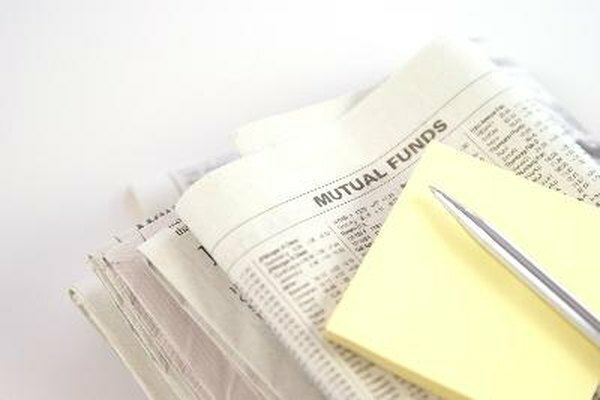 Individual investors usually own bonds through their mutual funds. 2. What Are Some of the Common Bonds Available to Investors? There are three kinds of bonds: U.S. Treasury bonds, corporate bonds and municipal bonds. They share three features: credit rating, maturity date and coupon rate. All three also trade on the public bond market after they are priced by the underwriting syndicate. Pricing on Treasuries is always done via a bid auction. Some municipals and corporates are priced via bid auction; however, they are usually priced by the managing underwriter based on indications of investor interest. You can buy bonds through most brokerage firms and some banks. Bonds pay interest according to their coupon rates, which state how much money will be paid per year based on the $1,000 face value of the bond. For example, if the coupon rate is 5.5 percent, the bond holder will receive $55 a year split into two semi-annual payments of $27.50 each. Municipal bond interest payments are exempt from federal income tax and, if you live in the issuing state, also exempt from state and local income tax. Treasury bond interest is exempt from state and local taxes. Corporate bond interest is fully taxable. All bonds return principal at maturity by paying the current holder the full $1,000 face value, unless the terms on the bond state otherwise. When you vote on a bond issue in a local election, you are instructing your local officials to either borrow money through the public bond markets to fund a project, or you are rejecting the whole idea. A voter-approved bond issue then goes to the underwriter. This is a brokerage house or underwriting bank that specializes in municipal finance. Bond brokers working for the underwriter call their clients to take buy orders for the bonds when they are issued. The bonds are priced according to the level of market interest rates for similar bonds and the strength of investor interest. This is how syndicated bonds are priced. If the bonds are auctioned, investors put in orders at specified yields and the underwriter fills the lowest yield orders in order until the bond issue is fully sold. Corporate bonds are normally priced by the underwriter based on market interest rates and investor interest. Some types of corporates are issued via auction. Corporates and municipals carry credit ratings by Moody's, Standard & Poor's or Fitch. These ratings range from a high of AAA to a low of BBB or Baa for investment grade bonds. Anything lower than BBB/Baa is considered high risk, or a junk bond. Treasury bonds are issued by the U.S. Treasury through recognized government dealers — brokerage firms and banks that meet certain qualifications. Treasury bonds are priced via auction. You can buy bonds directly through TreasuryDirect.gov or through your bank or broker. Treasury bonds are considered the highest credit rating because their timely payment of interest and principal is guaranteed by the U.S. government.